Microsoft software has become the standard for computer users the world over. There will always be debate over whether the products Microsoft offer are actually the best, but it cannot be denied that at the present time, for many people, knowing how to use a computer basically equates to knowing how to use the Windows operating system or being familiar with software packages such as Microsoft Office. The familiarity Microsoft has with so many uses means that they are able to charge a particularly high price for the software they offer, and whilst businesses may be able to afford this cost it is prohibitive for many home users. These heavy price tags are, however, avoidable. Microsoft know that the key to their future profits is in ensuring that tomorrow’s business leaders still see their products as the industry standard. It is therefore vital to Microsoft, that the penniless students of today learn how to use computers with Microsoft products. To do this, Microsoft are making student licences available on much of their software. The price of this software in many instances is subsidised by Microsoft as an investment in their future. This means completely genuine and legal versions of programmes like Windows and Microsoft Office are being sold for up to 90% less than the price you would normally pay. To get these discounts you need to find an educational retailer licensed by Microsoft such as Phoenix software for students which has an online shop. As long as you have access to an email address linked to an educational establishment you are then able to purchase the software with a student license, making many Microsoft products affordable. It’s not just Microsoft that offer these licences, many other major software manufacturers are offering big discounts to student customers in an attempt to retain the industry standard amongst future generations of business leaders. This means that many extremely powerful pieces of software such as Quark and Adobe Creative Suite could now be realistic options for the home user; professional results at home are now affordable. I’m a “tweener”. That is, I was born between those who did not need computer skills and those who inherently had them or were exposed to computers as part of their public school education. Finding it necessary to update my skill set so as to stay employed in an ever evolving workplace, I decided to go back to school to learn CSS and related web design techniques. With little extra time and a demanding work schedule, returning to campus was simply not in the cards. I chose online study through the continuing education division of a local 4 year college. Being a bit “long in the tooth” as it were, I was unaware of all the peripherals that would be required for online study. If you’re thinking about taking courses over the internet, consider how you’ll set up your “online dorm room”. The first step I took was to decorate my den with the same things I had adorned my dorm room with 40 years ago. “Let’s see, the moose head will go above the fireplace, the keg tap in the corner, lava lamp over here…” Hang a bra on one of the moose’s antlers and we’re done. After deciding that I liked being married and wanted to stay that way, I removed it all post-haste. Having the flexibility to study anywhere in my home was essential. Also, if you spend most of your time running from one task to another, having the ability to study in a coffee shop is quite a perk. While almost any internet connection will do, if you’ve still got dial-up then you’ve got a problem. Even the least expensive DSL or cable packages will do, so check with your provider and upgrade if you need to. My basic DSL package worked great. You can still get to know your professor or classmates via Skype, a now widely used and FREE program. Just download the software and you can get face time with anyone anywhere, so long as they have the Skype software installed too. for sale at reasonable prices. Doing homework will require some kind of word processing software. While Microsoft Office is great, it’s also expensive. Expect to pay between $200-$400 US for your software. Open Office is a better alternative. It is an open source software that enables you to do everything Microsoft Word can do. And Open Office is FREE. Whether you’re getting your teaching degree online or taking a one time course on how to handle hazmat materials, I suggest that you consult your course recommendations before compiling your list (and in the case of the hazmat course, please move far away from me). By the way, all went well with my online final exam. My dog, cat, and I have decided to celebrate by having a frat party. We’ve invited a nearby sorority (that would be my wife) so it should be a blast. No need to worry as I’ll be the designated driver. Maybe next semester we’ll hold our frat parties on Skype. Look for me. I’ll be the guy wearing beer goggles. Richard Rossi is a guest blogger, published humor writer and children’s book illustrator from Greensboro, North Carolina. You can find him at his website, www.rossibook.com. I recently had a customer call to ask if I could setup their email client. I couldn’t see why they would need this, as they seemed competent enough. Anyway, when I arrived, I was told that a well-meaning employee had tried to setup Mozilla Thunderbird, but did not get anywhere. When I started Thunderbird, I was asked for a master password as soon as I tried to do something meaningful (eg complete setting up an email account, or changing the settings of an existing account). It was annoying, as I could make all the changes I needed, but as soon as I tried to save the changes, I’d get the master password dialog box. Since nobody knew the master password, I decided to find out how to reset the password. Please note that there is a very real possibility that you will lose any other stored passwords… But this wasn’t an issue in this case, as it was a new account. CIA is a tool for restricting and monitoring internet access on a computer. Developed by Mike Hansell, it was designed to help parents keep their children focussed on their homework, by restricting internet activities that can cause hours of distraction (eg youtube, various messenger applications like MSN, Facebook, Twitter, as well as websites that contain various taboo/blacklist words (like poker, gambling, etc… the list can be easily altered). CIA was mainly designed to be as simple to use as possible. You don’t have to be a geek to use it. Probably the most difficult part of setting up CIA, is picking a password that others cannot guess. After that, you setup a weekly schedule, by simply pointing and clicking at a visual timetable. If a parent needs temporary access to the PC while a CIA restriction is in place, then just clicking on the taskbar icon will let you enter your password, and then you can use the PC normally. Of course, CIA can also be used for the office, where employees can waste many productive hours on the internet. CIA can help reduce these productivity losses. And don’t forget the advantage of restricting access to sites that could infect a computer. CIA can help increase the effectiveness of your antivirus software. 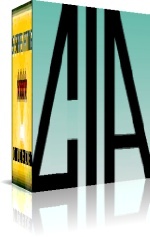 Download the 10 day trial of CIA, you’ll find that its different from most other parental control software currently available. Xbox 360 gaming consoles are the new craze of the youngsters. Well, not that new, but yes, the trend of being crazy over the Xbox 360 gaming console seems to have taken a great rise. Now people who are in their teenage and the people who are in their twenties love to play on the Xbox 360 and watch multimedia files through it. As Xbox 360 is a gaming console which happens to fall in the category of machines, it undergoes the process of wear and tear and so, the issue of the Xbox repair starts. Any person who is new to Xbox 360 may find himself in a mess, as he does not know what to do and how to do it. He may think of sending his Xbox 360 to Microsoft for Xbox repair but this idea is only good for those people who actually own Xbox 360 gaming console which has the warranty still applicable to it but if the warranty has expired then Microsoft option will be quite an expensive one as Microsoft charges a lot when you do not have the warranty on your gaming console and hence, it becomes a problem for many people. People who get disappointed with Microsoft often have to look for the ways to fix their beloved Xbox 360 gaming console as soon as possible. Many of such people do not know what to do and what to go for. They are left asking many Xbox 360 repair FAQs to one another. Some of these questions are written below. What are the possible options left to fix the Xbox 360 after the Microsoft one? Well, the answer to this question can be given by showing the two possible options that are left for any user who cannot send his Xbox 360 gaming console to the Microsoft for any reason. The first option is that to send the Xbox 360 gaming console to any repair shop in your nearby area, which is a little risky, and the second option may that be of doing the repair on your own. Why is the repair shop option a little risky? It is risky because you have to trust the local technicians with your expensive Xbox 360 unknowingly of their capabilities and skills, and things can turn bad for you here. How can one repair his own Xbox 360 gaming console by himself? Well, there are many resources and materials that are available in the internet for the assistance of those people who are actually looking to fix the Xbox on their own. You can find manuals and guides in this respect for every single possible error that can occur to your Xbox 360. These and many other questions rise in the mind of the people with the broken Xbox 360. Well, when there are questions there are obviously answers and so you should keep looking for these answers for the sake of knowledge and the health of your Xbox 360. It seems that everyone who buys a recent WD external USB drive, will get lumbered with a virtual CD called SmartWare. Now, there are many reasons to dislike SmartWare. Extra software on the Virtual CD that you cannot easily remove. The extra letter can cause many problems with existing external drives that are being used as automated backup drives… I hate it (and most non-technical users get severely confused) when previously working backups to, say, drive E:, now don’t work any more. Your computers drive layout is effectively changed without your permission. An initial look for a solution resulted in a huge 20-step process (involving updating the firmware to each WD drive, then disabling the virtual CD). I didn’t have time for a comprehensive test, so its possible for the VCD to re-appear if you plug the WD drive into a different USB port… but if this happens, just repeat the process.